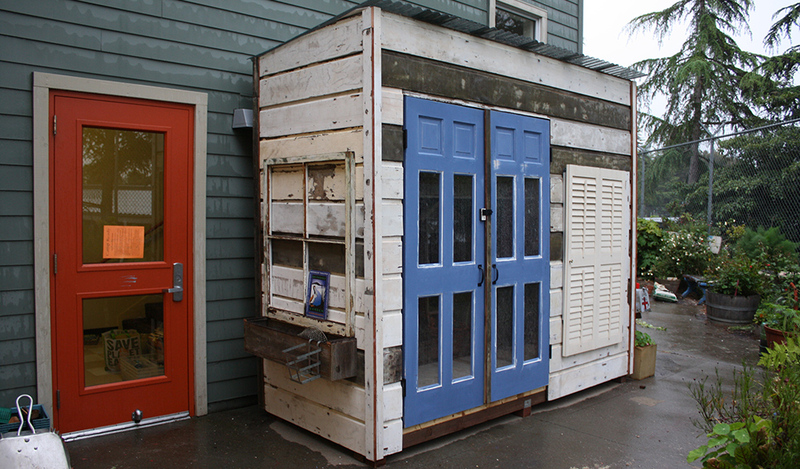 Green Building in San Francisco by Green Sheds - Where Everything is Recycled | Our customizable sheds are built with 100% recycled materials. 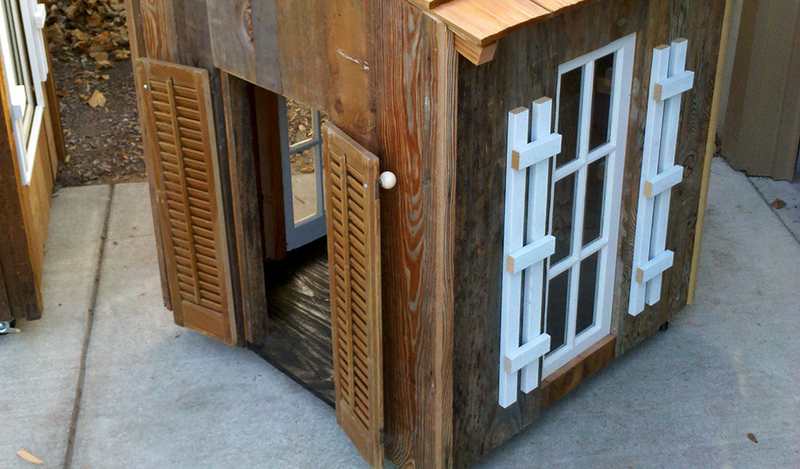 Perfect for potting or storage needs, playhouse, or pet house. Internal shelves provide ample space for all your garden and potting needs. Visit our gallery to browse more styles. Our standard 10 x 12 sq. ft. shed provides a unique storage unit. Visit our gallery to browse even more custom shed styles. Watch pirate battles or elegant tea parties unfold as this shed becomes your child’s new favorite play space. Visit our gallery to browse even more custom shed styles. Now your dog or cat will have a cool place in summer, and warm place in winter for lounging. Visit our gallery to browse even more custom shed styles. If you think it, we will build it! Contact us for a customized Green Shed quote. 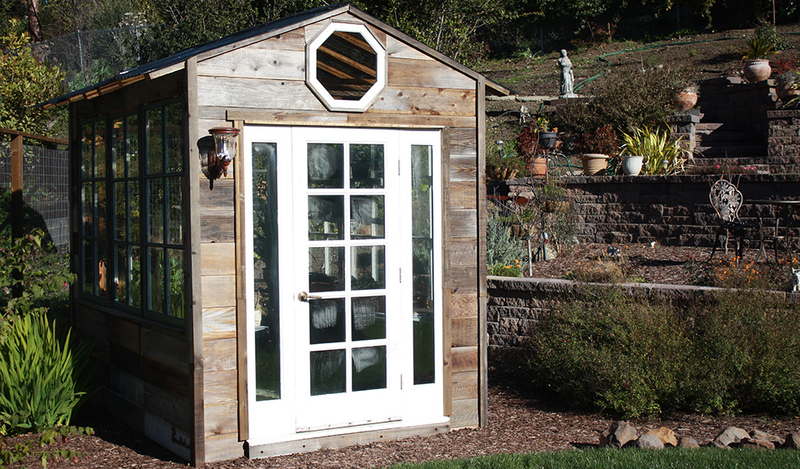 Visit our gallery to browse more custom sheds. right at your own home! Serving the San Francisco Bay Area, we build customized structures in your backyard. 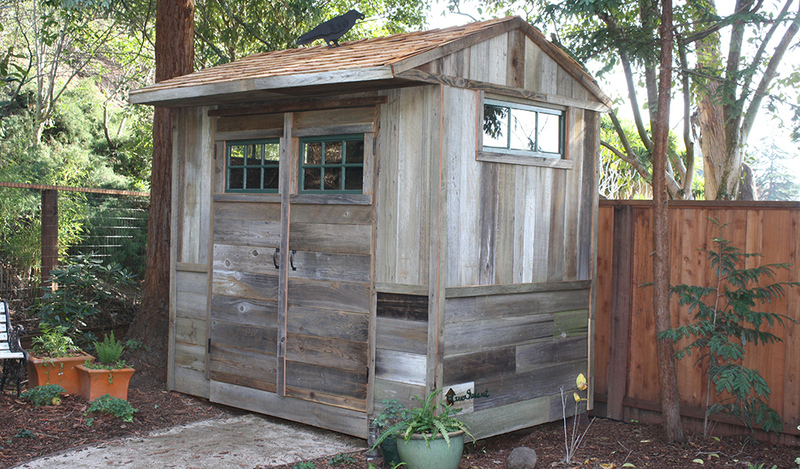 Now you can have your own Storage Shed, Garden Shed, Artist Studio, Home Office, Workout Room, Playhouse or Chicken Coop. Each structure is uniquely customized to your specific needs. Virtually all of our building materials…from hardwoods to hardware…are locally sourced from various recycle centers and carefully matched to the design criteria of your project. That means that you can enjoy the functionality and charm of your new structure knowing that you are doing your part to help our environment. 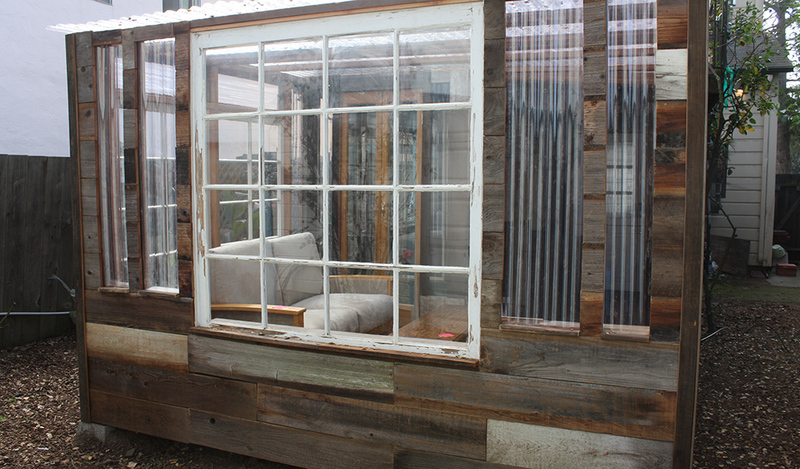 See what the San Francisco Chronicle had to say about our eco-friendly sheds following the West Coast Green home show. Our products were featured in this article. Ready to start dreaming up your new green building with our designers? Request a quote for your custom project for your free design consultation.